A classic layering essential and must-have addition to her adorable wardrobe. 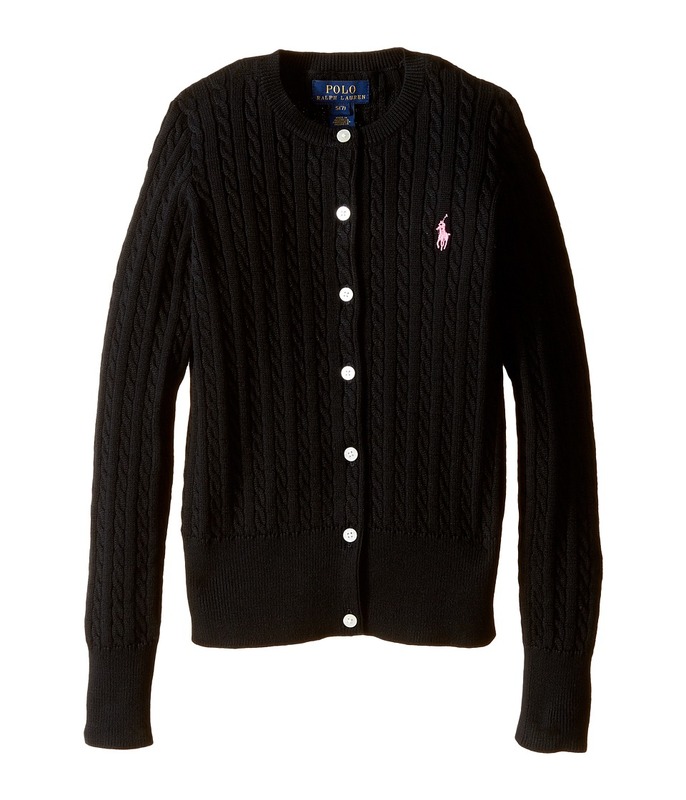 Lightweight and ultra-soft cable-knit cardigan featuring signature a signature embroidered pony at the left chest for a hint of heritage style. Ribbed crew neckline. Full button-up placket. Long sleeves with ribbed cuffs. Ribbed hem. 100 percent cotton. Machine wash cold, tumble dry low. Imported. Measurements: Length: 21 1 2 in Product measurements were taken using size XL (16 Big Kids). Please note that measurements may vary by size.